Ruth Sparrey is Director of Managing for Development Results in our Europe office. She is also the Director responsible for the U.K. Department for International Development (DFID) Expert Advisory Call Down Services Framework for Resilience and Strengthening Response to Crisis managed by DAI. Until recently she held programme management responsibility for Evidence on Demand, a DFID-supported knowledge service that covered climate, environment, infrastructure, and livelihoods themes. 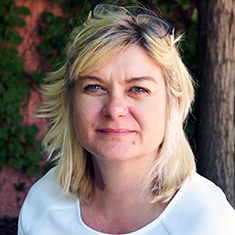 Ruth has 20 years of experience as a rural development consultant and as a project director on donor-funded projects in Bangladesh, Kyrgyzstan, South Sudan, Swaziland, and Thailand, for DFID, the European Commission, and the Capacity Building Trust Fund. Prior to managing the Evidence on Demand service, Ruth provided technical support to DFID’s Programme of Advisory Support Services and managed the DFID Livelihood Resource Centre, covering core services and framework contracts. She has worked directly with community-based organisations, nongovernmental organisations, and government agencies to design and implement innovative livelihood initiatives targeted at household, farm, and community levels. Ruth has excellent process, facilitation, and mentoring skills and has led project teams overseas and in the United Kingdom.